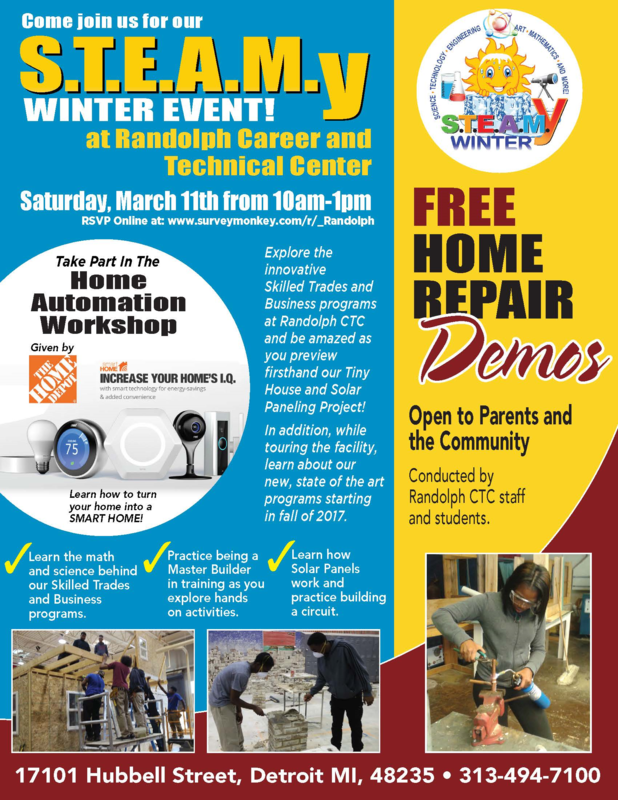 Come join us for our S.T.E.A.M.Y winter event at Randolph Career and Technical Center. Saturday, March 11th from 10:00 a.m. to 1:00 p.m. 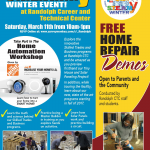 Explore the innovative Skilled Trades and Business programs at Randolph CTC and be amazed as you preview firsthand our Tiny House and Solar Paneling Project! In addition, while touring the facility, learn about our new, state of the art programs starting in fall of 2017. Learn the math and science behind our Skilled Trades and Business programs. Practice being a Master Builder in training as you explore hands on activities. Learn how Solar Panels work and practice building a circuit. This entry was posted in Info News Center, News and Press Releases and tagged 593.